OK, let’s get totally off-topic here, and let me rant about Facebook. Specifically, the new Timeline format for Pages. Timeline has been out for a while now for personal profiles and now it is being rolled out for all Pages too. So if you have a business or a fan Page you will be “upgraded” to the Timeline format by the end of March. Or, if you wish you can elect to make the switch early. 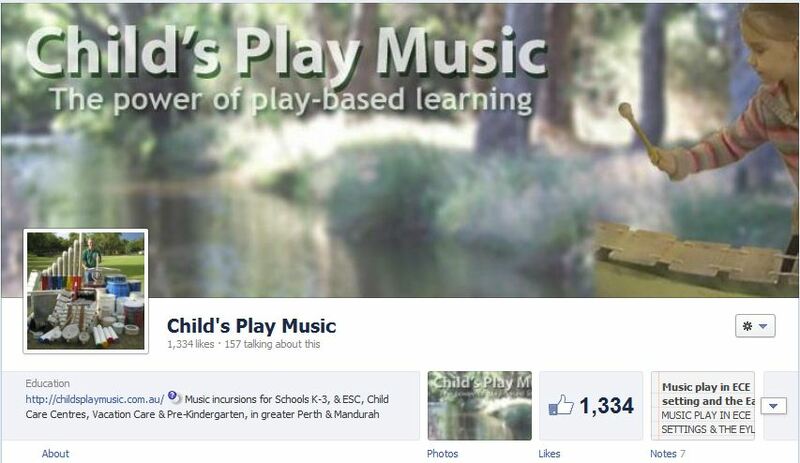 I chose to switch early – here’s what my Child’s Play Music Facebook Page looks like now. Although Timeline is being touted by both Facebook and many commentators as giving Page administrators greater control of how posts are displayed and formatted, I don’t agree: in some ways it’s much more limited. Under the classic FB interface it was possible to specify exactly what a visitor would see when they viewed your Wall. You could set it so only posts by the Page are visible, or all posts visible (including those by other people or Pages), and for this latter view you had the choice of either “Most Recent” or “Top Posts”. And those were important and useful choices – and you had control over them. Those choices are gone under Timeline – and I’m angry! The view now defaults to what FB calls “Highlights”; this is FB’s statistical model of what it thinks are the most important posts. As far as I can tell your own Page Posts will always be visible, but FB chooses for you whether a post by someone else will be visible on the Timeline. And you have NO control over this. If FB chooses not to display a particular post by someone else: too bad, you can’t make it do so. You can’t even select that only your own Page Posts will be visible, let alone that all posts will be visible. Yes, you can click on a drop down box to choose to see either only Posts by Page or Posts by Others (but not both at the same time), but you can’t select either of these options as the default view for all viewers: it’s “Highlights”, full stop. Why is this important, and why am I so angry about it? Because this is all about Facebook taking control away from the Page administrator – control that up until now we have had. Hey – I’m the administrator! I want to be able to administrate! Some Pages choose to have only their own Posts displayed – and this is no longer possible. Why? If they want to choose that display option (and many Pages do) how hard would it have been for FB to continue give them that option? It’s always been possible up until now, and I refuse to believe that something about the new Timeline makes it technically impossible; it’s just a choice that FB has made for us. Many Pages (and my Page is one of them) have always chosen to have everyone’s posts displayed – and that choice is gone too, and I want it back! Sure there’s a little box with excerpts of “Recent Posts by Others” but the box only shows the 5 most recent posts. And the excerpts are so short that they give you no real clue of what the posts are about – to find out you have to click “See All”. Now as Page administrator I’m prepared to click on that button – but will any of my fans do so? I doubt it. Go have a look at my Page – check out what’s displayed on the default “Highlights” view. Right now you have to go back to February 9 before you find a single post that’s not my own. Then click on the little “Highlights” drop down box and select “Posts by Others”. WOW! That’s an awful lot of posts that Facebook has decided for me aren’t worth anyone seeing! And that’s the nub of my complaint: Facebook is about interaction – I LOVE it when my fans post to my Page. But if their post is going to be hidden away they have far less incentive to post. Result: less interaction, and also less information and useful links being posted to my Page. My Page becomes less interesting to my other Fans – where’s the incentive to actually visit my Page (as opposed to just check my own posts coming to them in their News Feed) if that additional material isn’t there any more? And when my fans post to my Page it’s not just me that gets the chance to interact with them – anybody who visits my Page can do so too. Somebody posts; I comment; somebody else comments about my comment, and so on. That’s all good – I want people to have many different ways to interact with my Page. I’m really worried that these changes are going to reduce interaction – and Pages live and die on interaction. Facebook – let me decide what’s important and what isn’t! Now understand: I LOVE Facebook. I never thought I would be a Facebook fanatic, but I am. The level of networking and interaction has just amazed me since I joined less than 6 months ago. I spend hours on Facebook, not because it’s making me a million dollars (believe me, it isn’t), but because I’ve found a community of like-minded individuals and Pages who are passionate about the same things I care about. But I’ve also been frustrated by Facebook itself – not the people and the Pages, but the system. Facebook has a well deserved reputation for introducing major changes without adequate consultation. They are also remarkably unresponsive to user feedback. There’s no user democracy when it comes to Facebook; it’s an autocracy through and through. Facebook doesn’t negotiate: it dictates. Why? Probably because they are in other ways so incredibly successful – when you have the stratospheric growth rate that FB has enjoyed there’s no incentive for it to be responsive to user feedback. Facebook is and remains the premier social networking site. Whether it will remain so – who knows? But if it wants to continue to dominate in the face of ever-increasing competition it will have to start listening to users. So please – if you are as upset about this as I am, tell Facebook! You can submit it as a bug report here. Or use the feedback function of your own FB Page. You can do more – post about it on Facebook – let your friends and other Pages know about the problem. Shameless plug – share this blog post on Facebook 🙂 If enough people complain then maybe – just maybe – FB will do something about it. This entry was posted in Announcements and tagged Facebook, Facebook complaint, Facebook Pages, Social Networking, Timeline by Alec @ Child's Play Music. Bookmark the permalink. I agree with everything you have said Alec. I changed my Irresistible Ideas page 2 days ago and already I have struggled to see at a glance the PLEASE HELP! questions people are posting to the wall. Instead of showing up at the top of my page they are hidden away in the box of ‘Recent Posts by others’ as unimportant looking one liners and unless I grab them and repost them my followers are not noticing they are there. I also miss seeing in full view all the ‘shout outs’ people have so kindly given to my page … Suddenly my page looks like it is all about ME and I don’t like that one little bit!!! I take great pride in the fact that Irresistible Ideas is MUCH bigger than me … It just doesn’t look or feel quite the same community at the moment. That’s it – your point about it looking like your Page is “all about me” is exactly what I wish I had said in the post. I too pride myself on the interactivity of my page – I actively encourage people to post on it with links, questions, whatever (I’ve not yet been spammed, and if I am I can always delete it). Yet now the Page looks like I’m some sort of solipsistic narcissist lol – nothing but posts by me. And I too miss the seeing the shout outs – they are a lovely recognition of the work we do, and the connections we’ve made through FB – and I also want visitors to see them for the same reason. All I can suggest is that we hammer FB with negative feedback about this issue. I have already done so, but the more complaints they get the better. I’m not holding my breath, though! Join the rant! Some of us have been at it for ages! First, I agree with your positive points very much … the layout is very good (and the new picture viewer which we’ve had for a while is much better than before); I especially like the banner picture idea. The interactivity is of course THE point. I have already changed over my 365 photo page and one problem has appeared straight away, one that contradicts you a bit … a significant number of my own posts have disapeered. there are there in the log pages and are showing that they are visible but are clearly not. I have found a way to amke them appear but its arkward and has to be done individually. Now, here’s the rub, with my news and discussion posts especially there are a lot of them over the last year alone and I just don’t think its going to be practical to go though them all and work out which are showing and which are not! This is very frustrating to say the least becasue, as you mention, I can’t seem to get any help out of FB on this at all! So … don’t have any concerns from me about ranting. That is very worrying, Marc – I checked back only for a few days of my posts and they are all there, so I didn’t go any further but if you are having posts disappear I’ve no doubt I am too. I will check back further and confirm it. It’s bad enough that FB won’t show posts by others but If FB is going to decide that OUR OWN POSTS aren’t worth displaying that is just absolutely outrageous! And I’ve just checked – and you are absolutely right! Everything shows up until I get back to the 11th of February and suddenly a whole slew of posts by me aren’t displayed. And they are important posts with multiple Likes and a number of comments. I posted 7 times on the 11th – and just ONE of those is displayed. And from then on it’s like that – many, many posts by me are missing. I’m gobsmacked! I will update the blog post – thanks for bringing this to my attention. I share some of your frustration with facebook changes and unresponsiveness, but haven’t noticed the things you mention about the timeline. Maybe I’m missing something. You can control things in the admin panel: manage permissions, visibility, etc., and you can look at the activity log to see if posts are hidden, and can unhide them there. None of mine were missing though. As far as I can tell, the highlight thing is a way I can decide to highlight certain posts if I want, but nothing was designated that way by facebook. Granted, I don’t post all that much and my page doesn’t serve the same purpose as yours and many of the early childhood pages I like, so maybe that’s why I’m not noticing a problem. I’ll go through what you’ve posted here and through my page again to see, and will join you in filing a complaint. If enough people yell, maybe they listen. Thanks for your comment, Sharon. I’ve tried everything I can in my Admin Panel to fix these problems – but the options just aren’t there. I’ve gone through every single item on every single page of the panel, and it can’t be done. The Manage Permissions panel doesn’t let you select how your Page is displayed – there’s no option to select a different view from “Highlights”. I’ve got “Everyone can post to Child’s Play Music’s Timeline” ticked, but that doesn’t make them show up on my “Highlights” view, only on the “Posts by Others” view (if this is un-ticked nobody can post except me). According to my Activity Log the posts that are missing ARE displayed – and they are, but only in my Posts by Page view, not in the Highlights view. I can’t get them to display in my Highlights view – and even if I could I shouldn’t have to. Marc says he has found a way to do it manually but like him, I don’t have the time to go back over months of posts to make them visible one by one. This issue is especially important now that it is easier to go back to view an earlier date than under the old format; people are more likely to browse older stuff now – but it isn’t visible when they do. The “highlight” function you mention is different from the “Highlights” view. The highlight function lets you make an individual post more prominent by making it extend across the whole timeline. The Highlights view controls how all posts are displayed – it is selected by default, but if you click on the little button marked “Highlights” that is in the centre of the page between the Header and the Posts area you can select two other views, Posts by Page and Posts by Others. There’s no option for “All Posts” (which is what I want) and even if there were there’s no way to make it the default view. Ah, I hadn’t noticed the highlights button. I see what you’re saying now. Definitely need an “all posts” option.